New video compares the iconic sequence to its original script form. 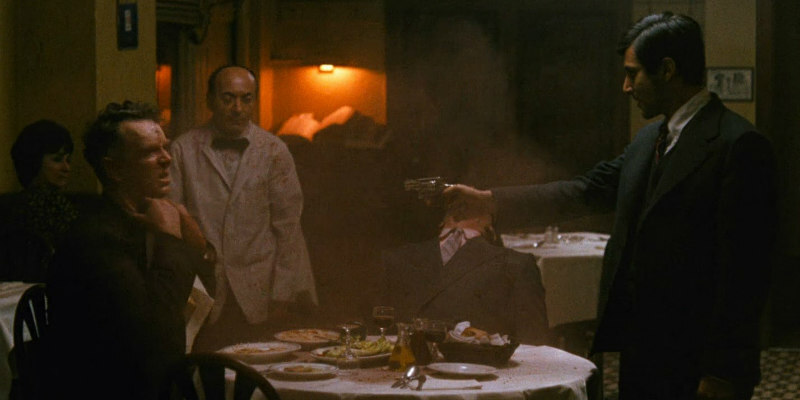 The killing of Solozzo from The Godfather is one of cinema's most famous murders. This video by Glass Distortion compares Francis Ford Coppola's completed scene with how it appeared in the script.